This is the sign that used to be at the farm on the corner of Steeles and Warden. If you go there now, it’s just a mini-mall. The geese that used to roost there will be confused. 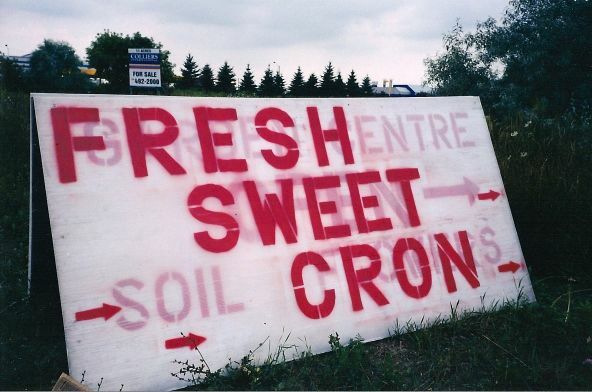 This sign is vaguely amusing if you know the famous Unix scheduling tool, cron.